Make First Contact with an Alien Computer System! When your starship’s warp drive fails, you encounter a strange subspace field generated by an alien construct – a Matryoshka Brain, a networked computer system large enough to completely surround a star. As you attempt to make contact with the entities living within the Brain, you discover that the alien construct is on a course toward the Federation colony in the Foggy Peak system, and that the vessel’s massive subspace field will destroy the colony and the system as it passes by. Can you learn how to communicate with the inhabitants of the alien Brain and convince them of their need to change course before the Federation colony is destroyed? 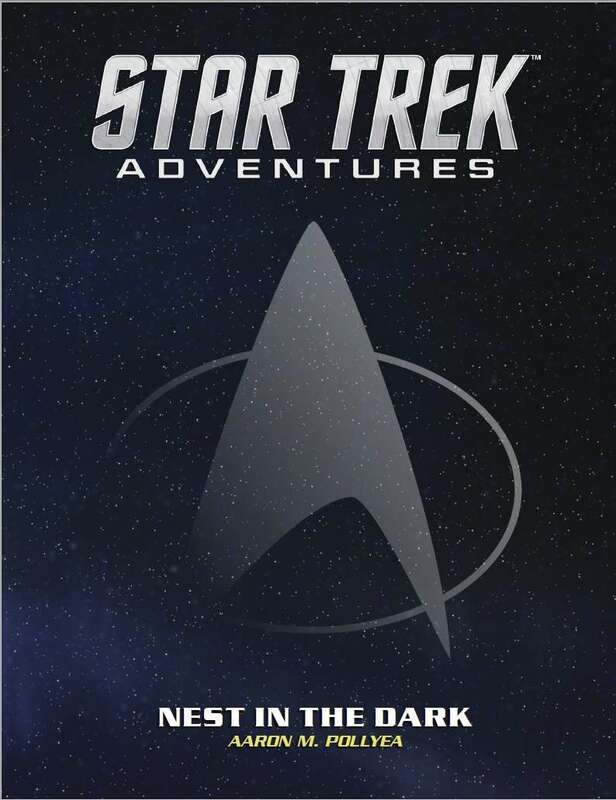 This standalone 19-page PDF adventure by Aaron M. Pollyea is for the Star Trek Adventures Roleplaying Game and is set during the TNG era. This adventure also contains advice for adaptation for use in campaigns based in other Star Trek eras.